We began ethics by familiarizing ourselves with utilitarianism, a system of morality focused on results, or the consequences of one’s actions. There was much emphasis on doing things for the greater good, that the right thing to do is always the thing that exists in service of this “greater good”. I had some problems with this concept as it could easily be used to justify things that are, to me, clearly wrong. The death penalty for example justifies the killing of people based on the fact that they have killed and it is therefore in service of the greater good to kill them, making that killing the “right thing to do”. Needless to say, this is not something I agree with. There is also a lack of concern for the minority in this system that I feel is problematic. Of course there will always be situations where majority must rule, but there are also ways to protect the minority and ensure that their needs are met as well, at least to some extent. The idea that the concern’s of a minority may be of less importance because they do not align with the “greater good’ is not right to me. This led me to believe that I may identify more with the idea of categorical imperatives, but I found problems with that too. I viewed this system as one which focuses only on the intentions behind an action and not at all on its consequences. The lack of concern for the consequences of an action does not align with my views on morality. Intention does not equal impact and I believe the idea of “treating others how you would like to be treated” contributes to the misconception that an action with pure intentions will be the right thing. Everyone is different, and it is unlikely that everyone will want to be treated the same way that you want to be treated. If we were all to live a life of treating others how we want to be treated rather than how they want to be treated, the consequences of our actions, no matter how pure the intention, could be extremely negative. I believe to truly do the right thing, we must consider how our actions will be received. Since I couldn’t fully identify with either of the above systems, I’ve set up my own belief system somewhere in the middle. I liked the consideration for consequences included in utilitarianism, and the emphasis on inherent morals rather than doing things simply for the “greater good” in the categorical imperative. While there are some situations in which I believe in the greater good, I think on larger scales it is important to take care of everyone as much as possible rather than disregarding minority needs simply because it will be to more people’s benefit. Let’s take the marginalization of the LGBTQ+ community for example: clearly we are a minority and our interests may not serve the “greater good” (unless in a utilitarian sense, straight cis people say so) but protecting us is the right thing to do because as people, we all deserve to be heard and to be respected. There is a moral duty to protect people and to do right by them regardless of whether they fall into the majority or the minority in a given situation. From my perspective, the “greater good” approach would not be the morally right one in this context because the definition of “greater good” will always be left up to the majority and it is unfair for one group to have that kind of hold on another. I believe that the minority should always be accommodated to the fullest extent possible, in the interest of maximum happiness and that the concept of “greater good” should be used only as a last effort in situations where compromise may not be possible. I have chosen to do my metaphysics inquiry on the makeup of the self. I will be looking into the following three topics in order to try and find a better grasp on what my beliefs on the subject are. Q1: how much does nature versus nurture come into play with identity? Q2: to what degree are we identity versus biology? Q3: is there anything beyond our biology, and is it dependent on our biology? I am going to start off my looking into the extremes of both nature and nurture. The theory behind our behaviors and personality coming from nature, is based off of science that supports genetic, hormonal, and neurochemical explanations. This way of thinking subscribes to the idea that everything that we do is based off of the way our biology behaves, and how it interacts with the world around us. Nothing is up to choice, and simply made to be based off of what we were born with. The more behaviorist approach suggests that all actions are determined by learning through the environment through conditioning. although there are logical explanations and rationals for both sides of the argument, the truth seems to reside somewhere in between nature and nurture. This leaves me with the conundrum of existence beyond our bodies. this question would be easy to answer if i believed soulfully in biological explanations for the formation of the self. this theory implies that there would be no soul, or eternal self as our physical makeup and brain stimulation end our memories and self when our bodies perish. the other side of the spectrum does not necessarily assure the existence of a soul, but does recognize that our experiences create something more than what we are born with. both arguments provide intriguing points to the topic and i intend to look further into this. In our class discussions, I was paired with Katherine and Sarah to discuss the makeup of the self. Most of the topics we talked about revolved around physical versus spiritual self and identity. One of the paths we went down that truly intrigued me was along the path of neural connections. This concept explains how when we learn or are thinking new neural pathways are creating, connecting parts of our brain together. this literally changes the physiology of the brain with the changing of the mind. 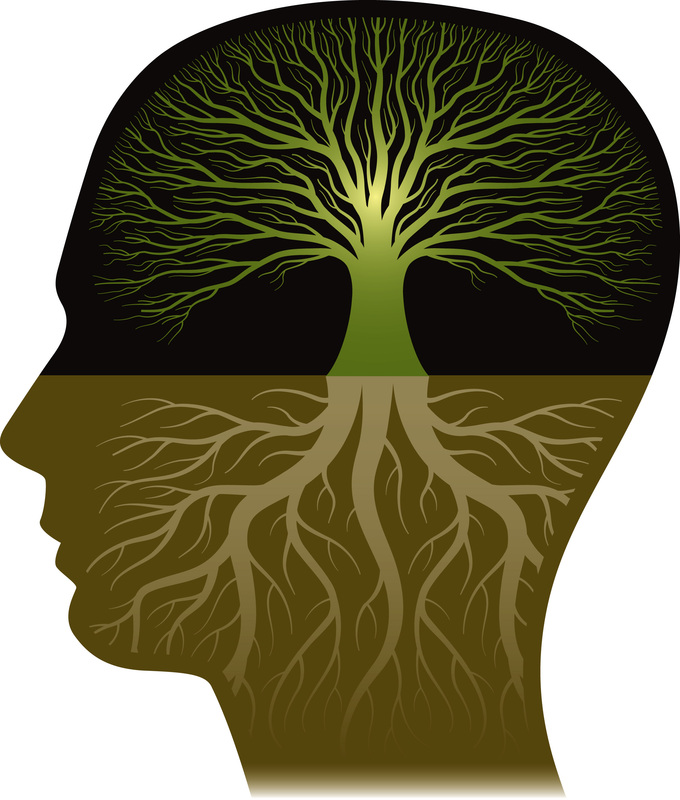 This provides a strong argument for the biological theory as it directly connects parts of our personality and self growth to the changing of our bodies. this also gives a reason of how we can evolve as individuals without necessarily needing something more than our biological self to change. My initial inquiry of nature versus nurture is greatly influenced by this, as the main argument that the nurture perspective has against the nature theory is that humans change through their lives with each new experience making us grow. As I stated previously the neural pathways changing explains actions often credited to the soul or self, through biology. This still leaves me to wonder if there is a part of humans that is created though something more than our physical selves, as I am not entirely convinced that humans are born and die with every piece of who they will be and were. My main question going into phils day off was whether physical and behavioral changes can prove or disprove the biological or behaviorist theories. Our Phils day off happened to fall on the weekend I went to the high school swimming provincials. At first, I thought this was problematic as there is little free time given to us on the trip, and the little free time we had was not going to likely be spent excitingly within the two-block perimeter boundary of our hotel in Kamloops. It was on day one of our meet when I realized that this trip was not actually a bad thing, as swimming relates directly to my questions about physical and behavioral makeup. It is my natural reflex to start swimming once I jump into a pool because my muscle memory naturally starts the motions that I have endlessly practiced throughout my life. my brain allows me to comprehend what I need to be doing to create the most effective movements that will allow me to reach optimal success for that certain type of stroke. These two things alone could not motivate me to swim. If there were not a part of me that loved just being in the water, I would have never made it to where I am. Although I may not swim to be the best, as swimming is not my main sport, I also do not only swim because it is good cardio. I swim because there is something inside of me that is drawn to the water. This love of bodies of water may be connected to some biological phenomenon I am unaware of, or even the way I was raised, but I do not believe that it is simply in my brain or muscle memory. There is something that makes us more than the physical space we consume. That may seam egotistical to assume that because we are human, there is something that makes us worth more than an eraser or other objects mutually agreed to not have immaterial aspects, but I also cannot rationalize humans having a soul to be wrong. Focuses on the byproduct and how it is beneficial for a majority. Right and wrong can only be determined by the result and it’s impact on everything. Follows this rule: Good is always good and Bad is always bad. Outcomes cannot be determined to change this rule. One’s actions have more priorities over the outcomes. In my own morality, I would lean more towards Kant’s Categorical Imperative philosophy, as I believe this preserves the principles concerning the distinction between right or wrong in our society. I agree with Kant’s belief that doing the right thing is something a person should do no matter what the circumstances, so that we actually have an identification of right and wrong actions and we will be able to categorize them accordingly. The intention of one matters more than the actual outcomes. Say that John was very hungry one day at school and he forgot to bring his wallet, so he decided to steal food from the cafeteria when the cashier was busy. However, he doesn’t end up stealing because a teacher was standing right in front of him. In this example, he acted ethically. Even though he didn’t end up stealing, his intention was not morally right. If the teacher wasn’t there, he would have stolen the food. The obstacle he faced didn’t change his real intention, but it just prevented him from achieving it. So basically, in my morality, I believe the intention behind an action is the measure of whether an action is good or bad no matter if the outcome that is wanted happens or not. Even though I believe there are some good principles in categorical imperative philosophy, I think I make some exceptions in my own morality. For example, say that a guy who’s in a hurry to go to office, looses his compass pass and doesn’t realize it until he gets on the bus and he forgot his wallet at home. From Kant’s perspective, the driver should ask him to pay for his ticket or leave the bus. But in a Utilitarian view, the bus driver has the options to let him stay on the bus, as an act of kindness. However, although this is a good action for this man, in categorical imperative philosophy this would be unfair because it would be an excuse for everyone to stop paying for their ticket, which could lead to a serious problem. In my view, I believe that sometimes exceptions can be made and that situations like this should be allowed as an outcome o understanding from others. Knowledge? What is it? What does knowledge mean? Watch this video below to understand more of what experience may mean or entail too. While watching this video also think about what your own experiences teach you or allow you to learn. By this statement I mean one of many things. Suppose you were to go on a hike while walking up this hill the rain begins to fall hard upon your head and you begin to slip. Still climbing up this hill you are with your best friend communicating with one another on where to go and how long you have left. You end up reaching your destination, the top of the mountain. Eyes widened you take in all of your surroundings and are truly amazed at what you are seeing; this is a truly amazing experience for you. Imagining that and living in the moment can only be achieved through the physical experience of being there and having all of your senses engaged and triggered in that moment, yes I may have told you to imagine it but you have not lived through it engaging your senses therefore not having a physical experience. From the little story above that, I had told you I want you to think that you had got stuck in the mud, your foot had been caught and you had not been through this before. Your friend does not know what to do so you stand there in confusion, you must use your mind and think of things that may help you in this situation. The premise connects to this situation because to deal with any situation and to have knowledge about them is to experience them. Being stuck in the mud is an experience because you can learn that all you need to do is slip your foot out of the shoe then pull your shoe out of the mud. Without knowing and having this physical experience you can not comprehend and learn the knowledge that the experience may give you. Back to the hike, you are surrounded by all of the things that trigger your senses and allow you to understand more about them. But what you do need to know is if you do not understand these things that you are seeing, hearing, touching etc. then you don’t fully comprehend them hence your knowledge lacking. To fully gain knowledge, yes your senses have to be engaged but really to fully obtain that knowledge you must comprehend or understand what is going on. In conclusion to all my premises, i hope you understood what i had intended to say. Without having your senses engaged and your mind comprehending and understanding things around you, you are not fully engaged; not obtaining the knowledge you could have. Next time you are experiencing something you have never before allow your self to undedtand your surrounding aswell as how things work and function, this will allow you to soak in as much information as you can expanding your knowledge immensly. What is morality? My definition of morality is: doing the right thing for the right reason. What does it mean though? I would say that it means using your knowledge and concept of what is right and what’s wrong to live in a society. The way and reasons that you act affects people around you. Your principles should define who you are and also build your morality. Having a good or bad behavior comes from your morality, it’s your personal belief of what is right and what is wrong. There’s not a unique answer to define morality however we live in a society so we must decide what moral we are using to keep people in harmony. Reading about utilitarianism and Kant’s ideas made me think about our society and it’s moralities. I personally agree most with Kant, I found very interesting the point that he made about how humans are selfish even when doing a good action. If you think about it, doing a good action just to get something in return is not doing a good action, because you are not doing for others you are doing for yourself. In my opinion Kant is right and closest to define morals and how humans live. He made some good points trying to explain how we act in some situations, the reasons why we do what we do. Our morals would apply to our actions he divides it in two ways. One way you are guided for good reasons, morals and what you believe is right, the other way relates to you doing something good because you pretend to get something from it, he says if your reasons are guided for the second way you shouldn’t be doing it. So is it moral to help poor people just because you would get a prize in return? Or even help your parents when they ask just because you get the car on the weekend ? I mean of course we have to get things for ourselves but is it moral? I don’t think is moral to say that you made something for people if you were just thinking to benefit yourself. It would be moral if you truly did it to help someone else knowing that you wouldn’t get anything in return. Good actions should come from your heart. That’s why I agree mostly with Kant when we are talking about morals. Utilitarianism relates to have a justification for an action, I mean you justify a bad behavior saying that it was for the best. They believe that everything that brings happiness can be justified (for some situations I agree but I don’t think is moral). The fact that your bad action resulted in a good action does not justify your first action as moral. However I do agree that we should think about pleasure over pain as they believe but again I don’t think is moral. My point is sometimes we can’t put morality above everything, we should think about the bad and good that an action would cause. Sometimes what’s moral brings more pain than good. That’s why I kinda of like to combine both ideas into one to have a balanced ways to determine morals. Let’s use the example of killing a murder. You can argue that you are doing something for the good of your society cause the action will bring more happiness than pain. It’s better killing one person than letting this one person killing a thousand. However if the murdered killed his father because he was being beaten his action would be justified. Kant would say that it’s wrong killing him because is not moral it would be wrong. The murder would have to go to jail because is the right thing to do. Killing is against a society’s morals, on killing him we would be being selfish and thinking about our on good and not thinking about someone’s life. Even though I agree with Kant in most of his arguments I think on this case moral won’t justify the cause. Killing a murder would be the best option. It would be the best option to our society and it will also prevent others crimes like this one because people would be scared of getting killed. So I think both of the arguments are valid, they have good ideas and concepts of morality. I personally agree more with Kant but it doesn’t mean that I don’t believe on the other argument, I think both are important to our society and both are relevant to be discussed. Utilitarianism on google is described as “the doctrine that actions are right if they are useful or for the benefit of a majority.” I agree that the definition of utilitarianism is whatever benefits the greater good. Categorical imperative is defined as “an unconditional moral obligation that is binding in all circumstances and is not dependent on a person’s inclination or purpose.” To me, categorical imperative is doing good things not for any benefits, solely because it’s the right thing to do. It’s essentially the same definition but it sounds better to me. Personally I’m a little biased towards Kant, so I agree with the categorical imperative. I think cheating is wrong no matter what, on a test, on your SO, no matter how you try and justify it, it will be wrong. The definition of categorical imperative where “act only in accordance with that maxim through which you can at the same time will that it become a universal law” is really important to me. I think it’s super important that we treat others the way you want to be treated. The only real hiccup I can see in categorical imperative is in the case of self defense. If someone tried to kill you and your body enters fight or flight response, and you end up killing them, are you in the wrong? I believe Kant would say that it is wrong because it is regardless of your situation. Personally I think it’s okay that you killed them which is why I also don’t think I’m 100% categorical imperative. If you can prove that you literally had no other choice, then murder is right in that situation. But at the end of the day, I don’t believe in “an eye for an eye.” I don’t believe these are the only two moral philosophies one can have. A combination of both would describe me since I can’t commit entirely to one. A personal issue that I have encountered that relates to my moral philosophy is the Good Samaritan act. In Canada, “a person who renders emergency medical services or aid to an ill, injured or unconscious person, at the immediate scene of an accident or emergency that has caused the illness, injury or unconsciousness, is not liable for damages for injury to or death of that person caused by the person’s act or omission in rendering the medical services or aid unless that person is grossly negligent.” Basically, if you try and help someone but end up harming them more/killing them, you cannot be sued unless you were consciously disregarding their need for care. Categorical imperative would say that although you had good intent, you killed them anyways which is wrong. Utilitarianism would say that you tried to do something for the greater good (help them) but you ended up killing them in the end which is okay. As a civilian, I am protected under the good Samaritan act since it is my MORAL obligation to help people, but as a lifeguard, I am not because it is my LEGAL obligation to help as opposed to moral. The law has seemed to lean towards a utilitarianism way of looking at things. However if you look at it from a different angle, the Good Samaritan act will allow people to “do the right thing because it is the right thing to do” without worrying about repercussions it could have which supports categorical imperative. On the other end, helping the weak doesn’t benefit the greater good because you’re wasting our tax dollars on their health bill, might as well let them die because the tax dollars can then be put towards the greater good. Though this sounds rather extreme, I think it is a true, valid and sound argument. I don’t believe in the death penalty. I don’t believe in imprisoning people for the sake of keeping them segregated but rather to rehabilitate them. I DO believe that people should be allowed to do the right thing without thinking about the consequences to helping others. There are flaws in both systems of utilitarianism and categorical imperative. A combination of both together used in balance would have the greatest benefits. Being black or white sometimes is the right answer, but arguing for the right to have the grey areas is what allows us to even have morals in the first place. I want to incorporate the mentality of doing things because you want that intention to become a universal law. Sometimes I find when helping others or in doing tasks people ask me to, I’m hesitant and annoyed but end up doing it anyway. I’m still unsure as to whether or not this would be morally creditable by categorical standards, because though I’m doing it out of some sense of duty I’m not very happy about doing it. But I find the concept of it and people following that kind of moral code admirable. I feel like wanting to help people and having good intentions is part of being a good person, but the categorical imperative doesn’t really stress results. Like a certain proverb once said, “the road to hell is paved with good intentions.” That’s pretty much the big thing that bothers me about categorical imperative, the only other one being it wouldn’t really work unless everyone decided to all adopt this way of thinking at once. What comes to mind is what happened to JC Penney, where they decided to be honest with customers and do away with sales (because a lot of the time when clothing is put on sale it’s what was considered the standard retail value. When you buy something not on sale, it’s a markup). Though in a humanitarian sense this is great, it didn’t work out because though it worked better for the customer it didn’t feel better. In a year’s time they lost an estimated 700 million dollars. I think that a good intention to be required to some extent though, because people doing charitable things to make themselves feel better or improve their status sounds pretty questionable. As for utilitarianism, I think it’d be great to consider the happiness as everyone as your own happiness. Before starting this unit, that’s pretty much what I considered a really good person to be like. It was kind of a combination of the two, where from utilitarianism I had the concept of putting before anything the happiness of everyone and good intentions from the categorical imperative. I’d like to be able to incorporate that into my own morality, but I don’t care about everyone and can only find it admirable when someone does. When approached with the problem of destroying a city or saving a best friend, I’d pick to save my friend. Though I find a lot of concepts admirable, I’d say I’m pretty average in that most of the time I just follow what feels like the right thing to do. I don’t exactly do anything extraordinary, but react to situations presented to me. It’s something I feel as if I should improve by seeking out justice, but I don’t really have the determination for it. Given a moral problem, I’m pretty objective until you throw something or someone important to me in it. Thankfully, I’ve never had the choice of destroying a city or saving a friend. If I were presented with figuring out whether or not gender neutral bathrooms should be made available for example, I’d probably check what benefits/harm they present, weigh it out, and see which option is better. That’s still an issue I’m not very informed on and fail to see the big problem with just having them. If they make people more comfortable, isn’t that enough? In that sense I’m probably more on the utilitarianism side since I’m not passionate about the issue. But on something like airplane companies not spending money to make flights safer because it’d be less expensive to have an airplane crash once in a while, that’s a little more concerning to me. Maybe it’s the threat of a lot of death, or because I don’t know the perspective of the person who has to decide on putting extra resources in safety, but somehow this seems more pressing. I think it’s something people should be notified of at least. Maybe it’s just different perspectives, but I wonder if it weighs on the people that have to make that kind of decision, and if it’d be solved if they considered themselves in a crashing plane that they could’ve survived. Categorical imperative assuming that as thinking beings we’d all come to the same conclusion isn’t really great in that aspect, considering the number of views people can have. Maybe some people are alright with the risk of a plane crashing as it is, considering it’s pretty low right now anyway. People being ruled by pleasure and pain is something I considered natural and true, but I always figured going against that to help others good. From the biological standpoint, your DNA basically programs you to survive and to preserve yourself and pass on your DNA at whatever means possible. But if you can put that aside and rub it in your DNA’s face by -for instance- sacrificing yourself so 5 strangers can live, I consider that to be pretty admirable. Personally, when I think of the term ‘aesthetics’, I picture things I’ve seen on social media. I’m not sure wether im being forced into thinking I find the thing I see aesthetically pleasing because social media tells me I do, or if the things I see are actually my personal aesthetic. When trying to understand and figure out what my own personal aesthetic actually is, I took interest in what Kant had to say about aesthetics. He describes how “flowers, free patterns, lines aimlessly intertwining”, as pleasing despite having no signification, and he having a disinterested and free delight in the experience. I took this into consideration when discovering what my personal aesthetic is. The way he described it caused me to think of the word ‘beauty’. But first I need to ask myself what beauty truly is. Kant’s idea that “Beauty is in the eye of the beholder.”, really caught my attention. I very much agree with his statement/idea. Everyone finds different things beautiful. I may find beauty in watching the sun set. Where as you may find beauty in a pair of shoes, a field, anything. I truly feel that we all are such different people, it is an almost absurd idea for everyone that we all would find beauty in the exact same things. I get to experience beauty and aesthetics first hand everyday. Especially during winter break I had a lot of very aesthetically pleasing experiences. Most of my experiences had to do with the decorations and lights that were displayed during the Christmas season. My first aesthetic experience took place while I was at my friends house. Her living room had been covered in white Christmas lights and once we turned the main room lights off and got to focus just on the Christmas lights specifically, it was absolutely gorgeous. Another experience I had was while walking around Lafarge. The lights were all different colours and shapes. It was such an amazing aesthetic experience. The lights at my friends house gave a very cozy aesthetic experience where as the lights at Lafarge gave off a more breath-taking aesthetic experience. My last aesthetic experience was downtown. Outside of Nordstrom they had an absolutely stunning display. It was a big globe the u could walk through which was made of lights. What I think I got out of this experience was that aesthetics can be found in anything and everything. I still don’t know what exactly my personal aesthetic is, all I can say is that I agree with Kant. “Beauty is in the eye of the beholder”. I find beauty in strange things sometimes. Im not sure exactly why so I can’t give a reason, but thats what I think personal aesthetic is to everybody– beauty found in unexpected or expected things/ simply anything.